Kelly is a stylish and chic Wordpress theme designed by BluChic and made for women. The fonts, colour and design of the site is modern, minimalistic also also presents it’s content in a very elegant and fashionable manner. 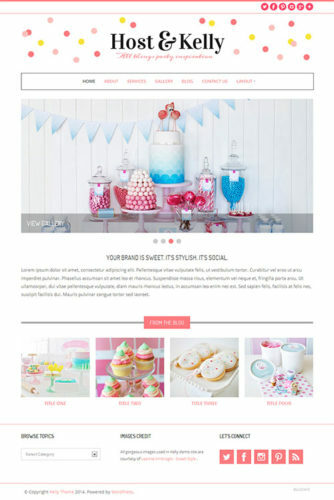 Kelly Wordpress Theme is great for wedding Planners, party planners, party styling businesses, and more. Features include a feature image slider, social media integrated, social media icons. Page templates for about you, wedding services, wedding gallery, wedding blog, contact us page. Click here to see more features of Kelly WordPress Theme. Kelly WordPress Theme also has a responsive layout. That means the menu, photos and content will resize and wrap to fit the width of the viewing device without sacrificing font size. You can test out the responsive feature by playing around with the demo and resizing the window. Using WordPress is the easiest way to create your Wedding Planning or Party Planning website. 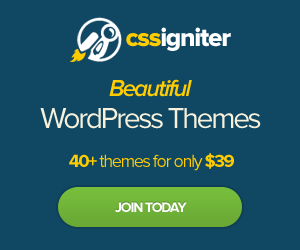 All you need to do is upload, install and activate the theme on your site. All you need to do is add content. There is no programming knowledge required. Custom Shortcodes – includes a shortcode generator to make changes with columns, button, contact forms, accordion, info box, slider in the post and more.